The Dutch shot-stopper, who saved two penalties in City’s semi-final shootout victory over Mamelodi Sundowns earlier this month, again proved his unquestionable abilities between the sticks on Saturday, expertly saving Bradley Grobler and Reneilwe Letsholonyane’s attempts from the spot to help his side to a 4-1 penalty shootout victory, handing City their second cup trophy victory in two years, and a first title for South African stalwart Benni McCarthy as coach. It therefore becomes almost unbelievable to think that just a little over two months ago, Leeuwenburgh was an unemployed free agent in the Netherlands, having ended a 14-year association with giants Ajax Amsterdam after being released at the end of the 2017/18 season, having not played a first team nor reserve team game in his last 12 months in Amsterdam. With the new season looming ever closer, and after unsuccessful trials at Eredivisie club Fortuna Sittard, times were getting desperate for the 24-year-old. “I thought to myself, it’s now already the end of July and something needs to happen, otherwise I have a serious problem and I will have to find another job,” he says in the October edition of KICK OFF magazine. Little did he know though that a contact at Fortuna would ultimately lead to a phone call to Cape Town City boss John Comitis, which would result in an immediate move across the globe to the southern tip of Africa. That weekend he kept a clean sheet in a friendly victory over Kaizer Chiefs, going on to shut out the opposition for a total of 418 minutes before eventually conceding his first two goals in his fifth official match in South Africa, a 2-2 draw with Free State Stars. And now, just two months after arriving in Mzansi, Leeuwenburgh already has a gold medal to his name, twice proving to be the hero in consecutive MTN8 penalty shootout victories. 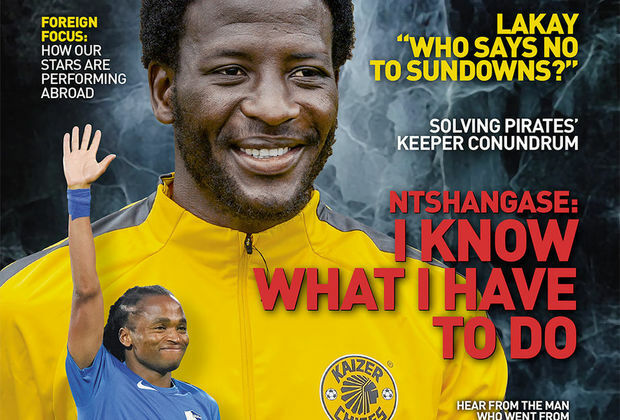 To read the talented goalkeeper’s full story of his journey to South Africa, his time at Ajax Amsterdam and his thoughts on settling into the PSL, grab the October edition (Issue 498) of KICK OFF Magazine, on sale now!